Author: Richards, Emilie Set In . . . 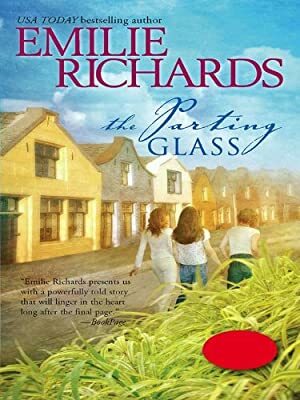 Description: USA TODAY bestselling author Emilie Richards continues the journey begun in her beloved novel Whiskey Island with this unforgettable tale of star-crossed lovers, murder and three sisters who discover a hidden legacy that will lead them home at last to Ireland. Megan, who is feeling hopelessly unprepared in her new marriage, has no idea how to fix the problems already facing her relationship. Casey, who is happily married to her high school sweetheart, is facing a new challenge: motherhood. And Peggy, who always dreamed of becoming a doctor, has put medical school on hold with the discovery that her young son is autistic. Each facing her own difficulties, the Donaghue sisters are brought to the remote Irish village of Shanmullin by Irene Tierney, a distant relative who hopes that they will be able to help her learn the truth about her father’s death in Cleveland more than seventy-five years ago. As a stunning tale of secrets and self-sacrifice, greed and hidden passions unfolds, the life of each sister will be changed forever.